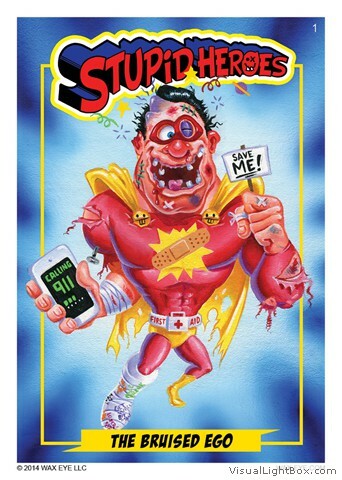 Stupid Heroes Trading Cards Series 1 is Wax Eye’s next generation of trading cards due out in October 2014. 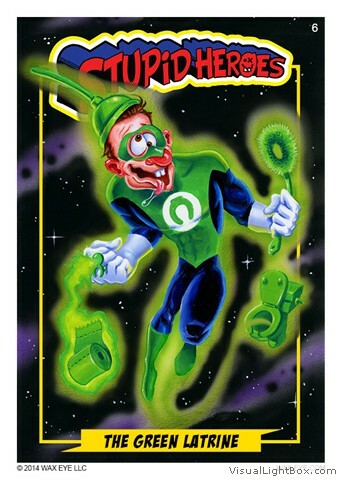 This set, painted by Garbage Pail Kids and Wacky Packages artists, this 55 card set parodies absurd adventurers and cheesy champions from the super hero universe. Chase cards include first-time-ever X-RAY VISION, 1-of-a-kind sketch cards! Only 1000 hobby box print run! TRADE & SHARE CARDS ONLINE! I am a wacky packages collector since childhood. 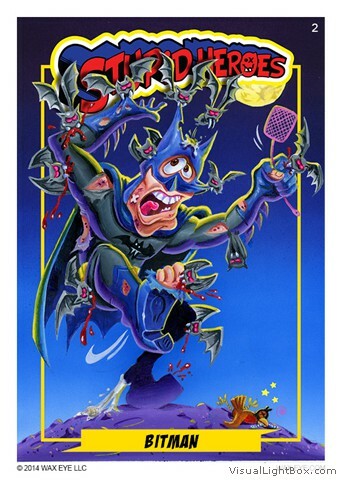 I discovered Stupid Heroes by knowing the artwork of Joe Simko. 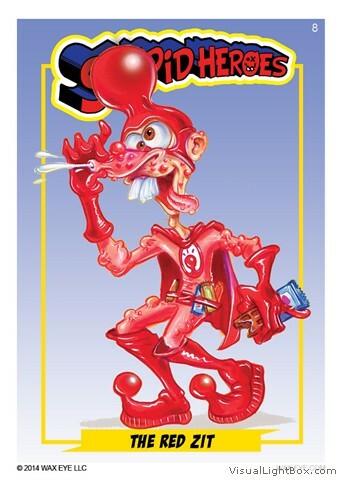 When I purchased a few packs of Stupid Heroes on Ebay, I was amazed. I am also a fan of superhero movies, and comics. 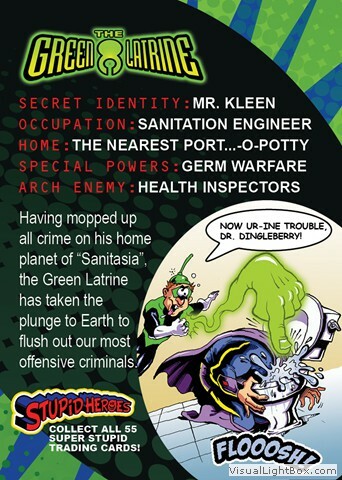 I have many nephews and nieces who would enjoy this new generation of trading cards. 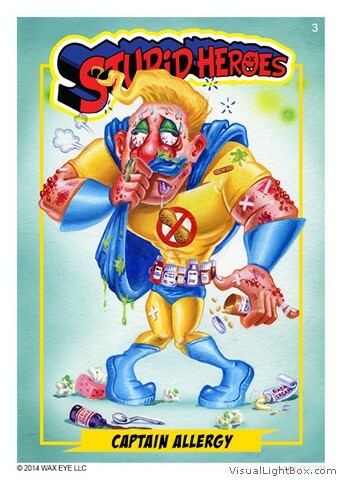 I love these trading cards, they will make a great addition to my personal wacky packages collection. 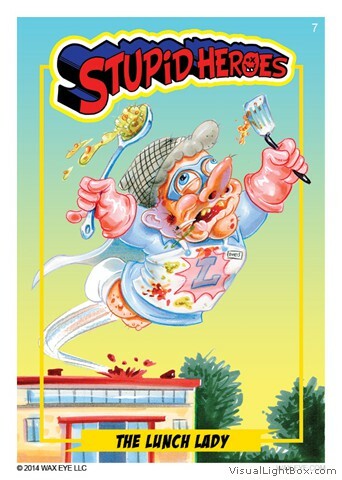 I recommend Stupid Heroes trading cards for any child or adult who enjoys satire and great artwork!